Crack the eggs into bowl, season and whisk. Heat a non-stick pan over medium heat, spray with oil. Snap the bottom part of the asparagus off and discard, wash the top part and place into the pan. Cook lightly, then set aside. Wipe the pan clean with kitchen towel, set back onto the heat, spray with oil and pour in half of the egg mixture tilting the pan to cover the base. 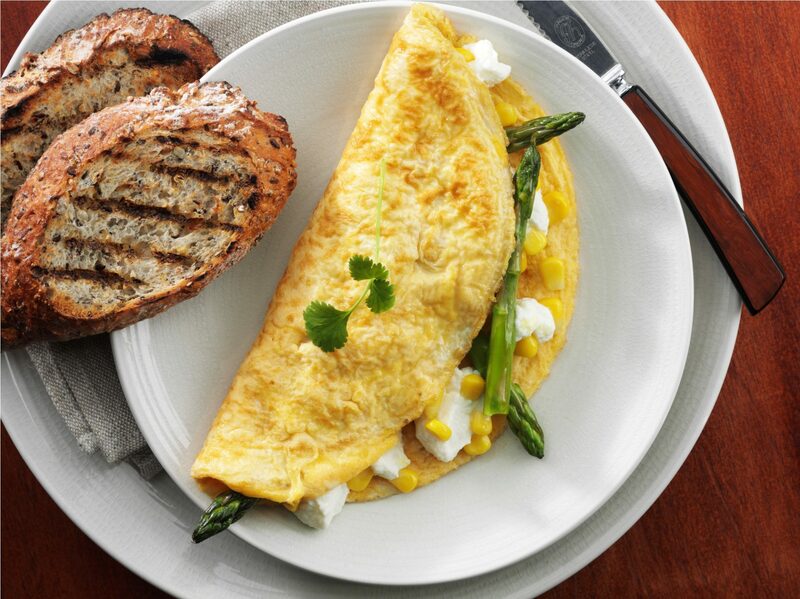 Just before the omelette is cooked, add half the asparagus, corn and cottage cheese. Fold the omelette in half and slide onto a plate. Repeat the process for the second omelette. Serve with toasted wholemeal bread.